These trousers nail major trends this season. 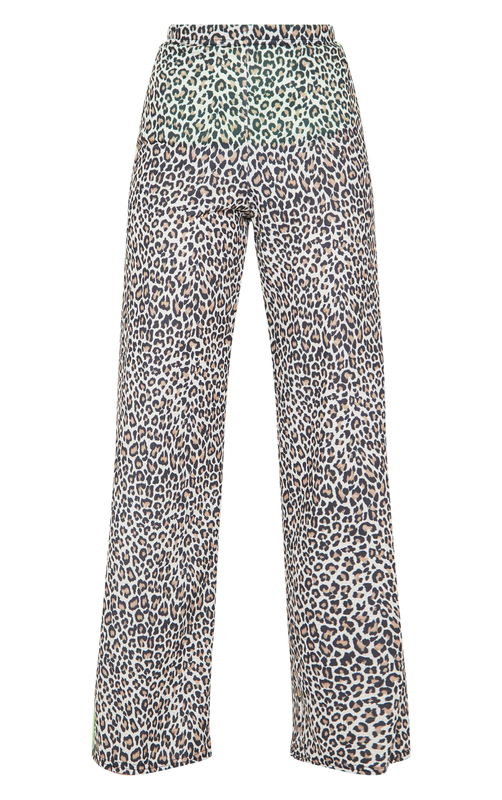 Featuring a tan leopard pattern material, a wide leg fit and a neon stripe. Style with a neon jumper and clear mules for an evening outfit we're loving.